PRICES ! what about outside rear galley model ? who wants to sleep with ‘cooking smells’ inside ? ? ? ? ! ! ! ! ! For you cooking smells are an issue but for the overwhelming majority of campers it is not. 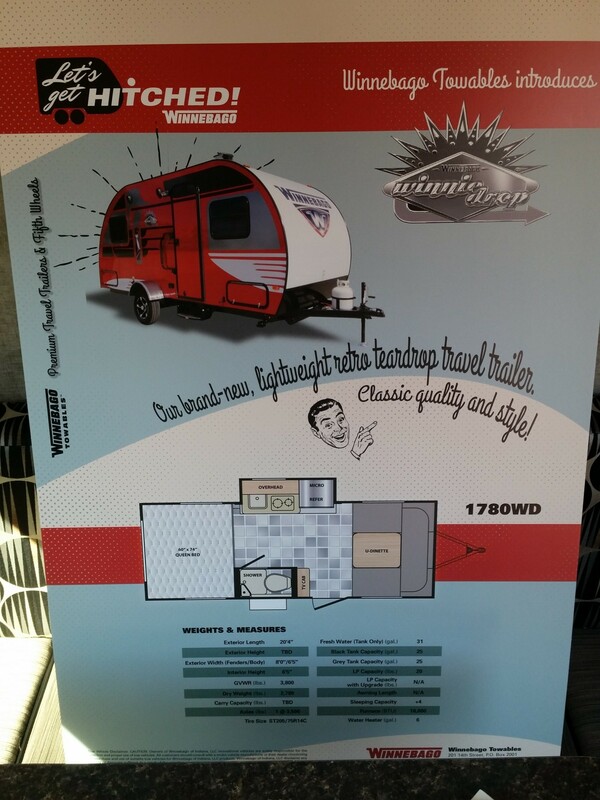 I appreciate your concerns, but most people do not share them and Winnebago has done a super job designing this trailer to meet the needs and wants of the majority of consumers interested in this platform. My wife and I have found the Winnie Drop 1780 to be the perfect blend of style, compactness and function. 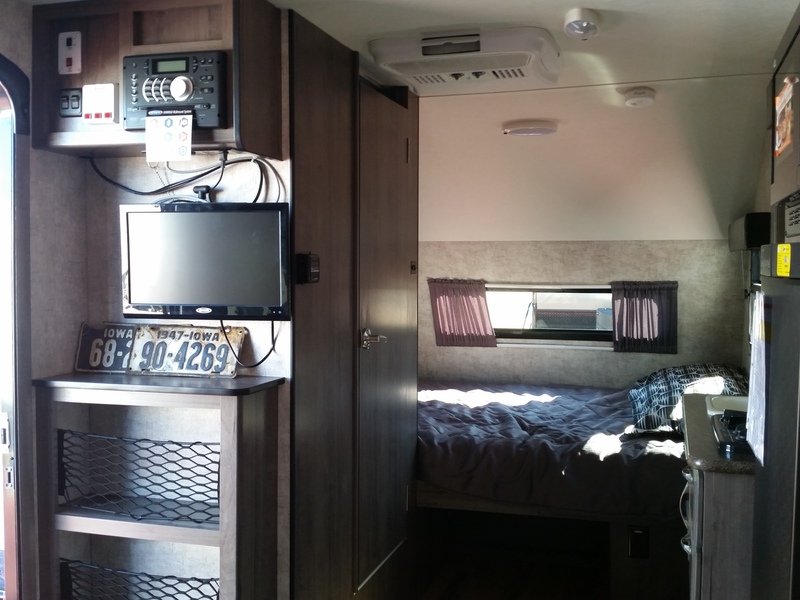 We traded in our R-Pod to step up to the Winnie and couldn’t be happier. rob why do you think the Winnebago drop is a upgrade over the rpod? My wife and I have found the Winnie Drop 1780 to be the perfect blend of style, compactness and function. 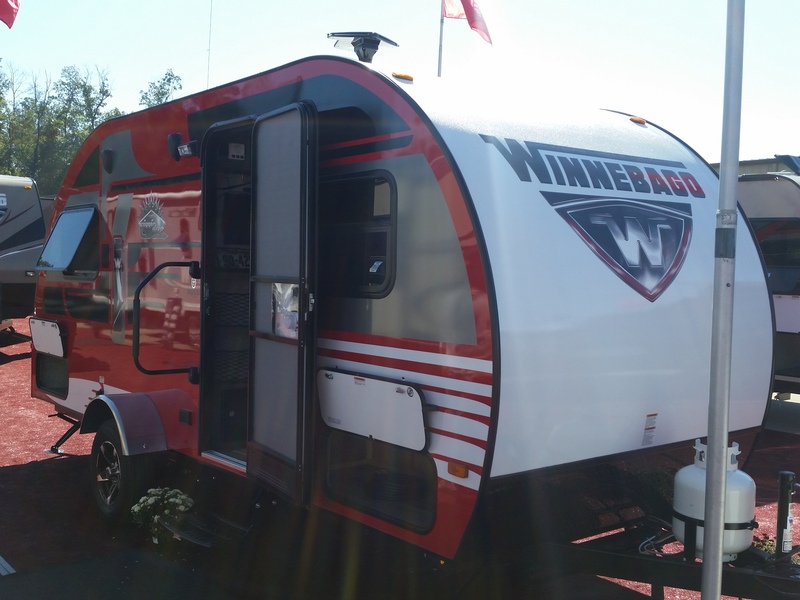 We traded in our R-Pod to step up to the Winnie and couldn’t be happier. The quality of this unit is superior to the R-pod and everything simply feels much more solid. We purchased our 2017 Winnie Drop 1780 last year and took it out for 14 weekend warrior trips. I cooked every meal inside, including burgers, bacon, veggies, eggs, roasts, etc. (I would probably not do fish ever). I always cooked with the fan on and a cross breeze from the kitchen window and the opposite front window. At the end of the season when we took it back to the dealership to winterize the techs thought we never took it out because of how clean it is. That is the trick, in my opinion. For any smell, whether it be food, dirty clothes, pets – you just need to diligently clean after every trip and you won’t smell anything. I also used this time to examine the camper for any damage, leaks, etc. We were able to prevent 2 major leaks by doing this. If you don’t want to put in that kind of effort, then I recommend you continue to do all your cooking outside. if your “cooking” smells, then learn how to cook. my cooking smells great! This has a good retro look. The retro trailers are sure a hit. This looks like it is one step above the teardrops in size. Good price range. I need to be educated a bit. How can you have a trailer with a GVWR above the axle rating? I guess you can avoid the problem by not towing water as it appears that could take up to 500 lbs give or take in weight. 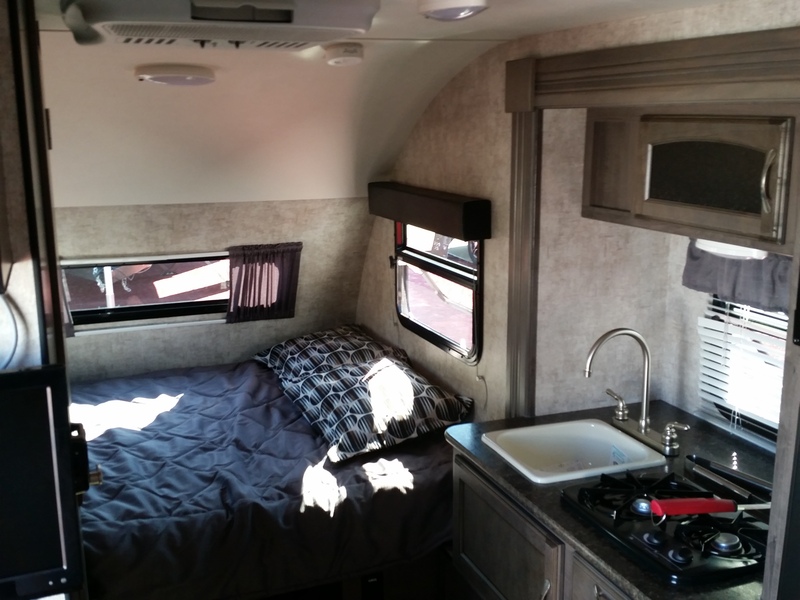 Dark brown interiors always make me want to gag, but I really like the kitchen slideout and queen sized bed. The interior is pretty boring and the dark brown looks cheap. Why bother with a slide out kitchen though? Maybe the other floor plans will make more sense. Queen size bed is nice but someone still has to climb over someone else; a walk around bed would be better. I’ll stick with my T@DA for now. I love this camper! I actually love the dark brown interior much better than the light woods on the micro minnie. I also prefer the bed this way rather than the walk around that just takes up so much room. 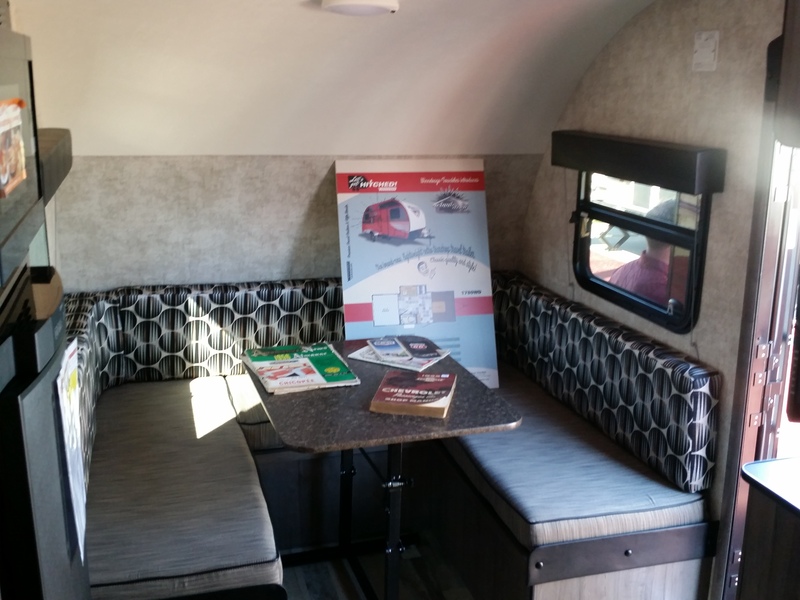 I’ve been looking for a small, lightweight camper and this is the one I want! Finally decided on Winnie drop instead of R-pod or hummingbird. Bought the 170s rear dry bath. I like the single sewer but thought it very low to ground. Anyone with a bad experience? Also wonder about the onboard water tank being hit by road debrie. Any comments? We just put money down on the rear bunk bunk model. Any updates folks? Haven’t heard anything new, John. 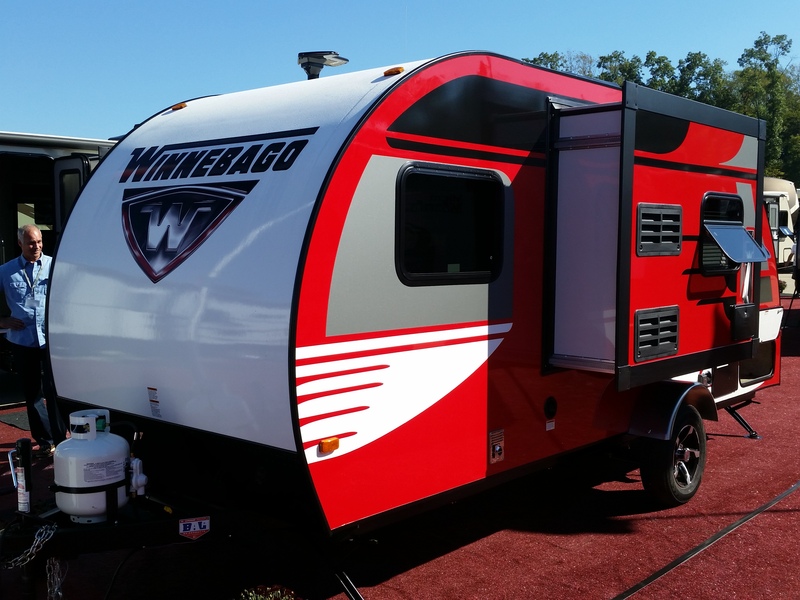 Winnebago is still plugging away with a solid product, and I’ve not heard any complaints about them through the grapevine. For R. Sherman – there is no problem with having the GVWR above the axle rating. The 300 lb difference is the tongue weight, carried by the tow vehicle. In reality, tongue weight should be somewhere in the 350 to 400 lb range, maybe even a little more. Filling the water tank (which is just ahead of the axle) should ensure decent stability while towing. getting back into camping!!! just bought this winnie drop and LOVE it tows nice not to big not to small.We spend most of our time outdoors but plenty of room on a rainy day. 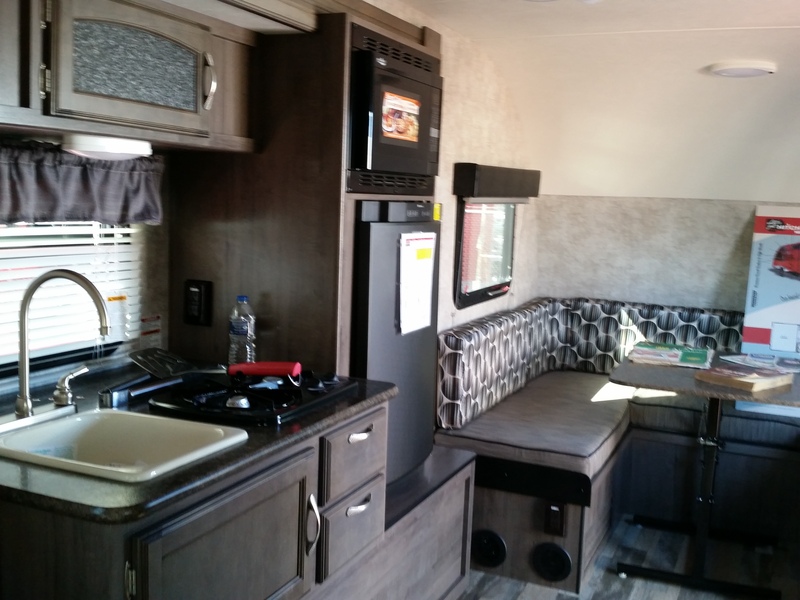 rear bath works best for us, great quailty, great camper!!! tj, I’m looking to pull the trigger on a 170S (rear bath) and would like to know about how much you spent, and where you are located. My local dealer (Spokane, WA) is asking $19,900 and I’m wondering if that is in line with other dealers. To Rick… If you want a better price on the 170S WITH the off road package give me a call at (940) 498-4366. I am in Texas if you wouldn’t mind making a road trip. If you call and I don’t answer, leave me a message and I’ll get right back to you.